“I’ve been hesitant to write this post. First, because of the inevitable online mom-shaming that is bound to ensue; and second, because it’s just really hard to re-live. After going through all the ‘what if’s’ and ‘could have’s’ we know we are very blessed and God had mercy on our sweet daughter. I took this picture after we secured the door shut with a child safety lock. 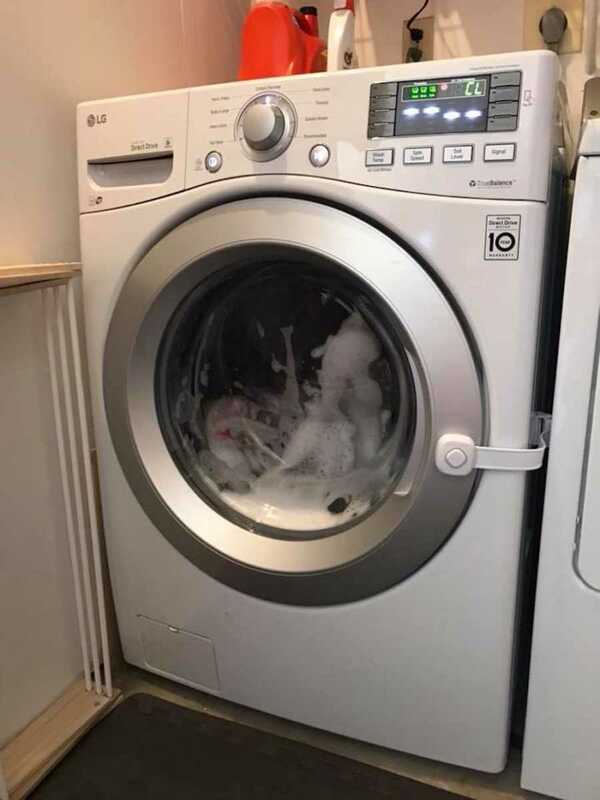 We also found a child lock feature on the settings that, as long as it is engaged, will not allow the washing machine to start. But it does not lock the door. We hadn’t even used the machine yet, so we hadn’t looked at any of the settings. Also, it obviously took two curious kids to pull this off. 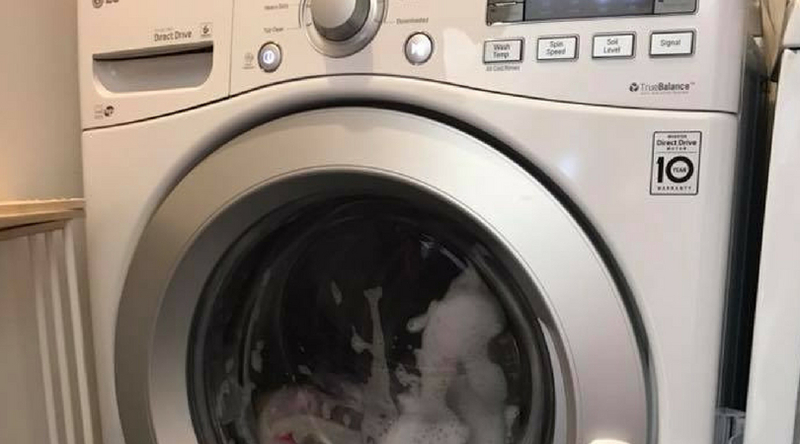 I want to encourage anybody who has this type of front loading washing machine and small children, or even grandkids who visit, to lock the door with a child safety lock and always keep the child lock setting on! This story was submitted to Love What Matters by Lindsey McIver of Conifer, Colorado. Submit your story here, and subscribe to our best love stories here.